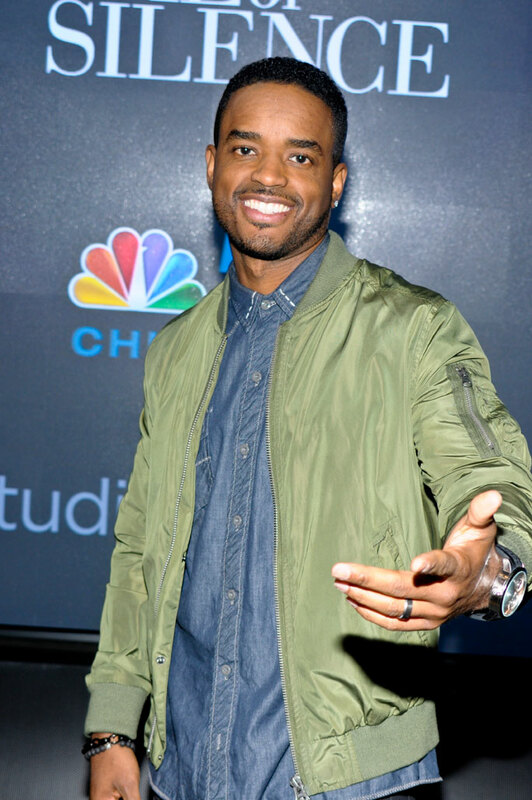 Larenz Tate star of NBC's new drama "Game of Silences" in Chicago at Meet and Greet with fans at STUDIO XFINITY. 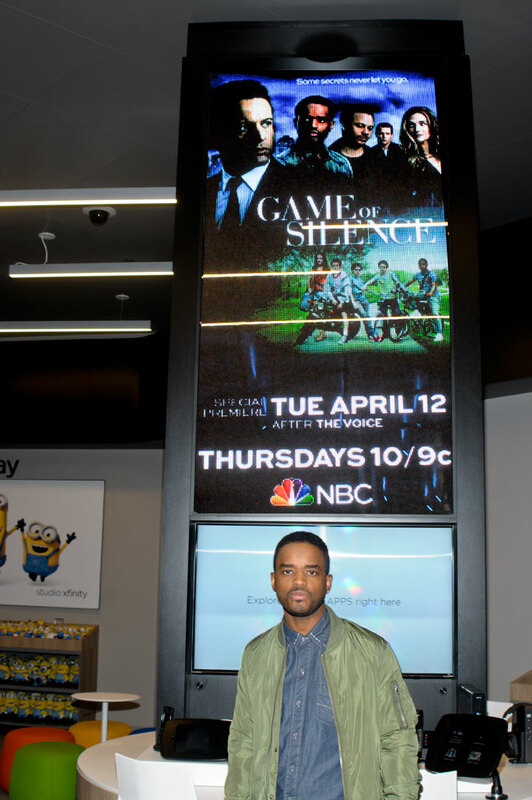 The new drama, Game of Silence premiers next Tuesday, April 12 at 9pm CT on NBC. Tagged as "Five childhood friends get caught in the grip of a dark secret from their past." Game of Silence is based on Turkish series Suskunlar, based on true story of a newspaper article "Pozantı Prison" and Lorenzo Carcaterra's 1995 "Sleepers" (Wikipedia). In addition to Larenz Tate, the cast consists of David Lyons, Michael Raymond-James, Bre Blair, Conor O'Farrell, Deidre Henry, Demetrius Gross, Claire van der Broom, and Derek Phillips. 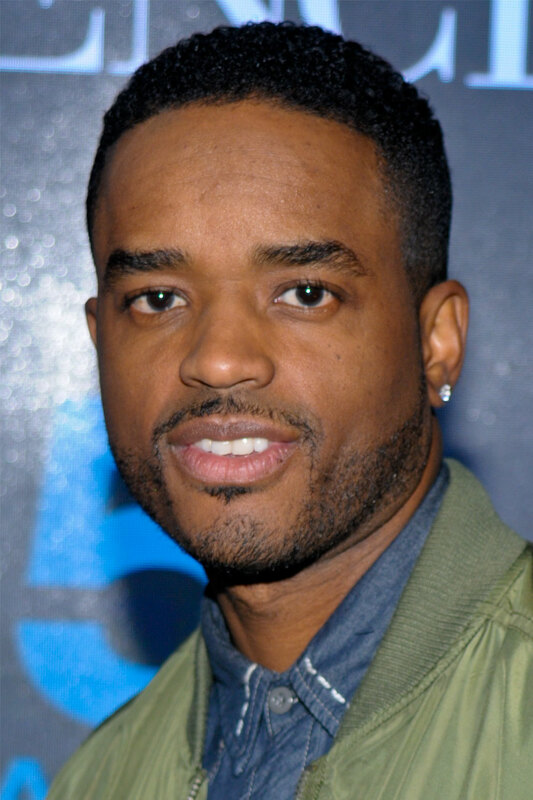 Larenz Tate was originally born in Chicago and at a young age his family moved to California. Tate and his brothers have not forgotten the Windy City. Over the years support various fundraisers as well as having their own Foundation supporting Sickle Cell. Larenz Tate has starred in many roles from television to feature films, with breakthrough movie, "Menace II Society." Tate continues to act and is excited with the premier of Game of Silence next week on NBC. 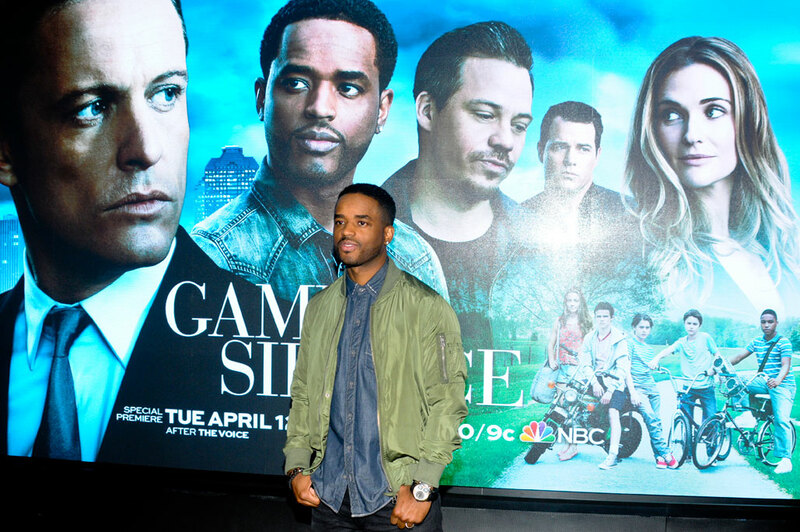 We were glad to catch up with Chicago's very own Larenz Tate while promoting NBC's Game of Silence at STUDIO XFINITY in Chicago on Monday, April 4. Five best friends have a dark secret they thought was buried 25 years ago, but they soon discover that you can’t hide your past forever. From the executive producers of “CSI” and “Friday Night Lights” comes a gripping new drama about friendship, love, revenge and the moral dilemma of how far one will go in the pursuit of justice. Jackson Brooks (David Lyons, “Revolution”) is a successful attorney who seems to have it all. He’s engaged to his boss, Marina (Claire Van Der Boom, “Hawaii Five-O”), and he’s on the fast track to becoming partner at his firm, but his world is turned upside down when his long-lost childhood friends unexpectedly reappear after 25 years. Jackson, Gil Harris (Michael Raymond James, “True Blood”), Shawn Cook (Larenz Tate, “Rush”) and Boots (Derek Phillips, “Friday Night Lights”) always stuck together, like brothers. They spent their boyhood summers in the small town of Dalton, Texas, swimming in the quarry, shooting bottle rockets and doing everything they could to mine the fun out of small-town life. But their idyllic world turned chaotic one fateful summer afternoon when a well-intentioned and heroic attempt to save their friend Jessie (Bre Blair, “Last Vegas”) from her alcoholic mother ultimately cost the 13-year-old boys nine months at Quitman Youth Detention Facility where their lives were changed forever. Now, 25 years later, the nightmare of the worst nine months of their lives has resurfaced, uprooting a mystery even deeper than their buried past. The brotherhood must now band together to right the wrongs of their shared past — a journey that will push the limits of their loyalty and ignite in them an unquenchable thirst for revenge. The cast also includes Conor O’Farrell (“The Lincoln Lawyer”), Deidrie Henry (“Justified”) and Demetrius Grosse (“Saving Mr. Banks”). “Game of Silence” is executive produced by Carol Mendelsohn, David Hudgins, Julie Weitz, Tariq Jalil, Timur Savci, Deran Sarafian and Niels Arden Oplev (pilot). The series is produced by Sony Pictures Television and Universal Television. STUDIO XFINITY is a 9,000-square-foot retail store located at 901 W. Weed St. in Chicago’s Clybourn Corridor. STUDIO XFINITY brings together the best TV and Internet technology in a unique store experience that serves as a test environment for enhanced ways to serve customers. In addition, the store serves as an interactive space in which customers can experience Comcast’s wide range of Internet, video, voice and home security and automation products and services.